Wow! I can’t believe the year is finally coming to an end. I can still remember walking into class feeling nervous because I had no knowledge about country music or what it meant. Thankfully, the class turned out to be a great experience and I’ve learned more about country music this semester than I ever thought I would in my lifetime. After scanning the list of movies, I decided to watch something familiar. Earlier in the semester, I wrote a song analysis on “Life is a Highway”, which was featured in this movie. On a Saturday night, I decided to grab one of my teammates, Tripp, to watch the movie with me. Tripp was reluctant at first, but I eventually persuaded him into watching it with me and he turned out to be pleasantly surprised. I can vividly remember us cheering for Lightning McQueen and singing along to the soundtrack (trying to sing at least). 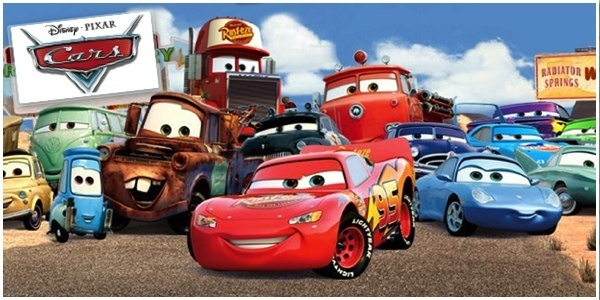 Although I’ve seen Cars numerous times, it never gets old. I enjoy everything from the plot to the songs, especially “Life is a Highway”. However, watching Cars this time around had a greater meaning as I had a new appreciation for country music and the movie. A couple of days ago, I had no clue the Texas Music Magazine existed so I decided to give it a try. To my surprise, it had a bunch of interesting articles to pick and choose from. 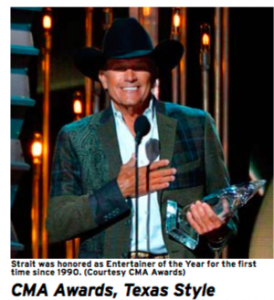 After scrolling through different “E-Zines”, I came across an article on the CMA Awards. Among a star-studded field, George Strait was honored as Entertainer of the Year, and Miranda Lambert took home another Female Vocalist of the Year trophy. In both of their interviews, Strait and Lambert seemed to be very down to earth. Although both artists have won numerous CMA Awards, Strait and Lambert always praise other nominees for their hard work and success. This not only proves that Strait and Lambert are amazing singers, but also humble and great people to be around. At the end of the night, Strait teamed up with Alan Jackson to pay tribute to the late George Jones by duetting on Jones’ classic, “He Stopped Loving Her Today.” What a night it must have been! After reading all the posts about Threadgill’s, I decided to give it a shot. I’m not really familiar with southern-style cooking but I figured I’d like it since I love food in general. 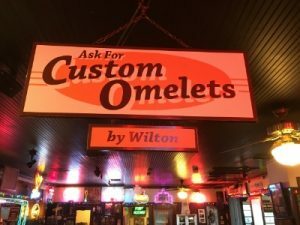 A bunch of friends and I decided to try this place out after practice one day and we were amazed by how delicious it tasted. I ordered the chicken fried chicken breast with extra gravy and a side of mashed potatoes and green beans. Usually, we’re pretty hungry after practice so I told the waitress we’d definitely have some dessert at the end… the carrot cake looked amazing so I thought I’d try it out. However, the portions were a little bigger than I expected and I held my head down in shame as our waitress applauded our valiant attempt to bite off more than we could chew. Overall, I definitely recommend this place to anyone looking for a place with great food and music! This class has been one to remember. I came in with no expectations whatsoever but came out with a better understanding about country music and its attributes. Despite not knowing anything about country music, the class provided me with a deeper perspective of what country music is all about. It’s not always about how good a song performs on a chart, it’s about the story behind every song. Thanks for making this semester more manageable! “If I could write a letter to me”… 5 country songs that portray exactly what you want to say your younger self in college! Brad Paisley’s classic song, “If I could write a letter to me,” tells a story of a man listing everything he wish he would have told “his self at 17.” As a graduating senior of UT Austin, I listen to that song and think, “What would I want to tell myself at the beginning of college if I had the chance?” While we are deep in the trenches of college it is easy to become overwhelmed with the pressure to succeed, the inconceivable amount of course work, the constant battle to get a decent quantity of sleep each week to see the bright light at the end of the tunnel. Every college needs a letter from their future self to know that, all that you’re going through in the moment is so worth it, whether you can conceive the thought or not. This list is compiled of country songs that can do the speaking for you. Check out the five things your 18 year-old self would have loved to have known as you struggled through freshmen year. The playlist progresses as the different struggles of each new year presents themselves, from freshmen year to that glorious final year, and beyond! The Great Transition! This is the year that you are leaving the comfort of your high school network and your parent’s house to make it on your own in this big ol’ world. There are always hard times in life and it is easy to succumb to the challenges, but you have to keep putting one foot in front of the other and get through it. This song is jammed packed with inspirational lyrics that can help anyone know that they can make it, and it’s the exact words your younger self would’ve love to hear their first semester of college (and every semester after that!) Think back to how you felt that dreadful first year at a new University; struggling emotionally, academically, financially, and if you pledged a fraternity, physically. You probably didn’t know a lot of people and you often felt at your lowest point. Looking back at those times now after you’ve graduated, made tons of friends, and found that dream job, it’s easier to encourage yourself. Keep pressing on during the hard times and soon enough you’ll find that you’ve made it through to the other side. Also during this time you are thinking more of your future plans, while at the same time reminiscing about the first half of your college life. No one wants to look back on their life and have to constantly say, “I wish I would have done…” Regrets are a terrible thing to live with, so why wouldn’t you want to live life to the fullest? To quote Ellie from the Pixar film “UP,” “Adventure is out there,” it’s just up to us to go out and explore. Your younger self should know this in college, because life could easily just pass us by as we try to earn a degree and we won’t experience all of what college has to offer. So, go on that study abroad trip to Spain, join that intermural team, rush that sorority or fraternity you always wanted to join, take that summer internship you’ve been dreaming about, go on spontaneous road trips on the weekends, fall in love with the cute guy/girl in your OChem class. According to New York Times Magazine, research says that the biggest regret that people have is a lost romantic opportunity, not that they didn’t go to class enough, or their study habits. We would have loved to have known that while being cooped up in the library for hours instead of enjoying some of the best years of our lives. This is it! You’ve made it to the finish line! It’s so easy to only think of the future and how badly you want to be there. Especially in college, you want to hurry and graduate in four years to escape the course load, the stress of tests, the fact that you’re always broke, the haunting thought of how much debt you’re accumulating, but when they day comes, as happy as you’re going to be… you’re going to miss it. The all nighters that gave you so much hell, the late night talks about life with your roommate, all the amazingly fun events on campus, the parties, tailgating at sporting events, even your professors. I know that it seems like you’re always having to “go to this meeting,” or “finish this paper,” but you’re actually as free during this time than you will ever be. Samantha Matt, a writer for Huffington Post, wrote on her blog that one thing she missed about college was “having more free time,” because once you get in the real world with real life responsibilities there isn’t much room for messing around. It’s an amazing feeling to embark on a new journey in life, yet it’s a bittersweet farewell to the chapter that you’re closing. So please listen to Trace’s words and head his advice when he says, “These are some good times, so take a good look around. You may not know it now, but you’re gonna miss this.” Take in every moment, the bad along with the good; you’re going to need stories to tell your grandkids in the future. You’re fresh out of college with a degree in something that you love. The world is at your fingertips right? You are on your way to living the life you’ve always dreamed of right? This isn’t true for everyone. Sometimes it’s hard to find a job that fits the degree you have. Sometimes what you thought you loved doing doesn’t give you fulfillment you assumed it would. Or maybe you didn’t get the job that you had been banking on and are left completely confused. This song is a reminder that life is a journey and whatever road you end up taking, it ultimately leads you to become the person you were always meant to be. Take some to travel, find a new hobby, take a job that you would have never considered in college. All of these things could bring out skills, passions, and characteristics out of you that were completely unnoticed earlier in life. As life progresses you will inevitably find out who you were created to be and fulfill the purpose that you are called too. So even if things aren’t looking the way you planned, doesn’t mean that you aren’t taking steps toward your destiny. In her blog, “11 things I wish I knew before going to college,” Sarah Bourassa writes that one of those things was to “stay one step ahead.” Which is so good, because like many people who have already graduated, you would have loved someone who has gone ahead of you to guide you through the roller coaster ride you would be on for the next four or so years. I’m sure that there are plenty of other things that you would love to tell your younger self that is unique to you, but I believe these songs cover a lot of our sentiments, when it comes to doing college over again. Even though all these songs speak to different areas of our lives while in college, they all point to the same purpose; great advice that would make getting those treacherous four years with a little less scars and whole lot more joy. Even though, it may be too late for many of us to get insight from this post, you have the opportunity to send it someone you know who is just at the starting gate to give them a leg up, while also giving them some awe-inspiring country hits to listen to. We had left at 4 pm two Tuesdays ago. My fiancé Madeleine and I were driving to Tyler, Texas from the northwest corner of Arkansas. 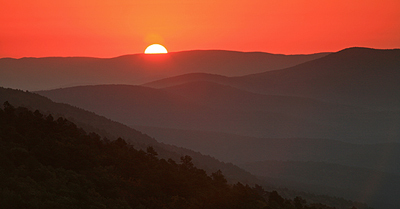 As the sun began to set, our GPS directed us to exit off Highway 59 and onto Mountain Gateway Scenic Byway through the Ouchita Mountains of Eastern Oklahoma. Although it wasn’t a Friday, the wind in our hair felt too good not to be blasting a song like Eric Paslay’s “Friday Night” on “the wide open road” with one another, especially taking in a view like this one: By the time we got closer to the Texas border, we had to stop in a tiny mountain-valley town in Southeastern Oklahoma for dinner at one of two local restaurants. We chose the Subway. And as we walked in, we were greeted by thick southern accents and country music playing in the background – sounded like Luke Bryan. We had begun to see a theme in the music we heard walking into restaurants and coffee shops. 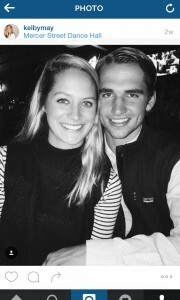 Even before we left the Fayetteville area of Arkansas, we went to Fayettechill outdoor store/bar/coffee, and we had heard, ironically, “Drunk on Your Love” by Brett Eldredge. We finally made it safely (after two flat tires) to Tyler, Texas and linked up with my parents and my sister for a bit of family vacation. Although Madeleine had to leave for Houston, the country music definitely decided to hang around. It didn’t matter if my family and I went to a diner or a museum, we just kept hearing country music everywhere. I can’t say I was surprised to walk by the Skyline Café of Tyler’s Historic Aviation Memorial Museum and hear, you guessed it – country. To be fair, the Dolly Parton song playing at the time did seem fitting to a museum café with linoleum flooring that seemed stuck back in time (maybe the 70s). I hadn’t gotten up and taken two steps towards the deer before my heart skipped a beat. 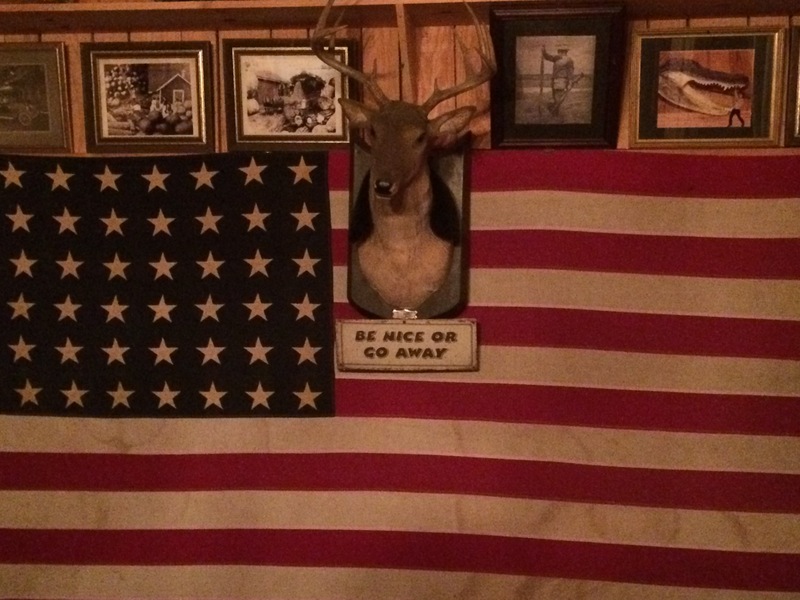 It turns out that this was no taxidermy – it was an animatronic deer! He introduced himself to me as his plastic, mechanically-controlled head jerked around. Then, this deer launched into song, lip-syncing a classic – “Friends in Low Places” by Garth Brooks. On this Spring Break road trip through Arkansas, Oklahoma, and the top of East Texas, I realized just how deep country music runs in the soul of the South. Whether it was a fast-food restaurant, coffee shop, museum café, or yes, even a talking deer head – country music was what I heard. And so I have a challenge for you – next time you’re driving North through these States in our part of the South (especially once you hit Oklahoma), whether you pull in to a Sonic or stop to check out a a local store, pay close attention to what’s on the radio. I knew country music was popular, but I had no idea that it was practically all I’d hear on my road trip. But hey, with music as good as I heard, I’m certainly not complaining. Think of that one special place that always seems to put a smile on your face, and erases every worry you have ever had. For some this may be a family ranch, or a little secret cove out on the lake, it could even be your grandparent’s house. I’m sure when you are there, you are relaxed, and reminisce on all the great times you have spent there with family and friends. This place has shaped you into the person you are today, and taught you a few lessons during your journey of life. For George Strait and I, that “little” special place happens to be 268,820 square miles large. We call this place Texas. In 2005, George strait released the album Somewhere Down In Texas, on that album was the song “Texas”. Although the song was never released as a single, it reached the national spotlight, and became one of George’s fan favorites. In this song, George pays tribute to his special place, and explains how it has molded him into a man. He also takes the time to list off a few things Texas has to offer up to the every day person. In this song he addresses the fact that if it wasn’t for Texas, the Cowboy’s would have never been in the Super Bowl. George Strait grew up watching the Cowboy’s as a child, and has been seen on the sidelines during Cowboy’s games. Similar to many Texas citizens, he is passionate about the team, and I’m sure watching the Cowboy’s takes him back to watching games as a boy. This could have been a reason he decided to end The Cowboy Rides Away Tour in AT&T stadium. He also addresses that he would not be an American if it wasn’t for Texas, nor would people risk their lives crossing the Rio Grande. George is a proud American, and does not shy away from the fact that if it wasn’t for Texas joining the US in 1845, he probably wouldn’t be an American. When he sings the lyrics “Nobody’d swim the Rio Grande,” he captures the power of Texas, by explaining that the state offers so much opportunity that people are willing to risk their lives to get here. We often take the benefits of living in Texas for granted, but George wants to reaffirm that we are blessed to live here. George also makes it a point to list off just a few destinations that make Texas such a special place. He mentions the Alamo, which of course has had a great effect on Texas history, and still serves as a tourist destination for people nation wide. Fort Worth is brought up, a city in which George has found himself playing in very frequently. He has built a connection to the city through his music, and also realizes the city encapsulates the western aspects of Texas. Austin is also mentioned, a city that make one appreciate the diversity Texas has to offer. He also pays tribute to a fellow Texan who he respects, and shares a passion for music with, Willie Nelson. 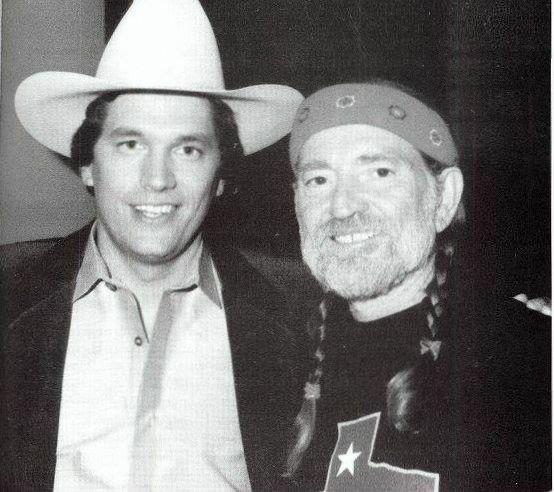 He realizes the state of Texas and older musicians like Willie motivated him to go to Tennessee to make music. In the last stanza of the song, Strait sings “it made me the man I am”. He was born and raised in Texas, and is thankful that the state has helped him grow and mature along the way. George recognizes Texas is his special place, and has no intentions on leaving. Where is your special place and what effects has it had on you? 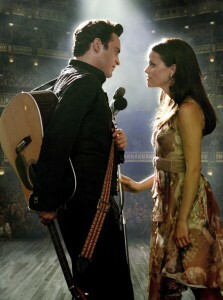 Around a month ago, I sat down and watched the movie, Walk the Line. This is by far one of my favorite movies, it’s the perfect example of a classic love story. Not only am I a fan of Johnny Cash’s music, I absolutely love Reese Witherspoon. I recently read an article over her about how she only accepts roles that have strong leads, and June Carter is just that. Since the movie, I’ve been hooked on Johnny Cash’s hit, “Get Rhythm”. One random weekend, a friend invited a group of us to go see his step-dad play at this teeny tiny dance hall in the town of Dripping Springs. His step-dad is the guitarist in a band called The Warhorses. 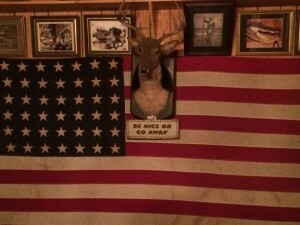 This small town Texas band has an EP of five songs, with my favorite one being “Leave Me Alone”. Throughout the night, they played their five songs and the rest of the songs were dedicated to playing cover songs. Songs included artists like Randy Rogers Band, George Strait, and Wade Bowen. This night filled with two-stepping was the perfect getaway, especially because two-stepping is one of my favorite hobbies! 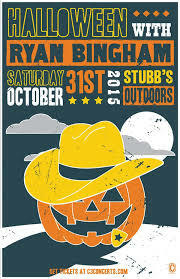 On Halloween night, I spent my time seeing one of my favorite artists, Ryan Bingham. This Americana songwriter was a blast to see for the second time in concert! I was fortunate enough to gather some good friends and spend time with them as well as have pretty good spots to enjoy the live music! My favorite song by him is, “The Poet” on his album, Junky Star. He puts on an awesome show because he is naturally a good performer and his authenticity makes him enjoyable to listen to. Over the semester, I found it actually pretty easy to complete some of the things on the list. I think this is because sometimes we don’t realize how much country music is naturally incorporated into our lives. Seeing Walk The Line was something I enjoyed watching during my free time and I learned a little bit about one of country music’s finest. The last two, two-stepping and seeing a live concert, was also something I thoroughly enjoyed. With all of this, this semester has helped me realize how much I really do enjoy country music and how this class has helped me appreciate the love I have for it.